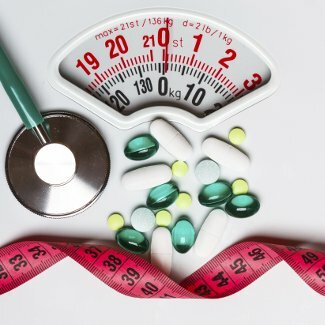 Do Diabetic Medication Cause Weight Loss? Diabetes causes changes in your body’s structures and their function. It can also makes you prone to gain weight. To add fuel to the fire, diabetic drugs are closely linked to our body weight and may lead to unnecessary weight gain. Most of the older diabetes controlling drugs are known to cause weight gain by making you retain extra calories and increasing appetite. However, some of the newer agents may cause you to lose weight. Weight loss is very helpful in obtaining a good blood glucose control level. It also minimizes the risks of having heart problems or vessels’ disorders. There are many proposed mechanisms of these drugs working to shed extra body fats. According to most researchers, these drugs have the capability of reducing body weight by suppressing appetite. They delay the gastric emptying (release of food content from the stomach into the intestine) and it takes longer for food to reach small intestine from the stomach. A delayed entry of food into the intestine gives a fuller feeling and helps avoid overeating. Once we feel fuller, we stop eating. These drugs reduce caloric intake, which may help reduce weight as well. These drugs are particularly effective for individuals with type 2 diabetes. One of the main reasons why people develop type 2 diabetes is high body fat content. The extra fat in the body envelops the body cells; as a result they fail to respond to insulin. Losing weight means you are losing body fat too. As a result, your cells start responding well to the available insulin. Diabetic FAQ recommends talking to your doctor before taking any drugs to discuss your options.